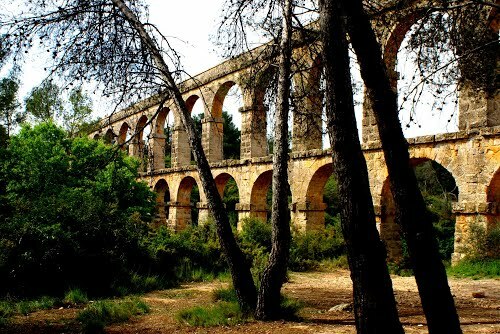 Les Ferreres Aqueduct, also known as Pont del Diable, is an ancient bridge, part of the Roman aqueduct built to supply water to the ancient city of Tarraco, today Tarragona in Catalonia, Spain. 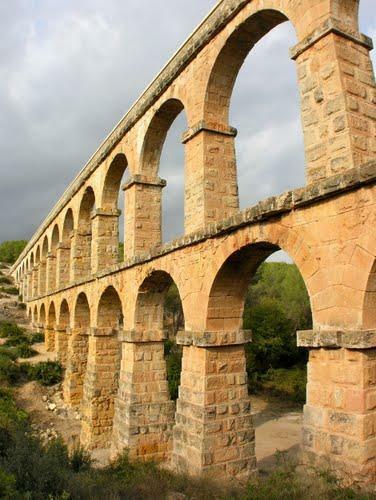 The bridge is located 4 kilometers north of the city and it is part of the Archaeological Ensemble of Tarraco (listed as a UNESCO's World Heritage Site since 2000). 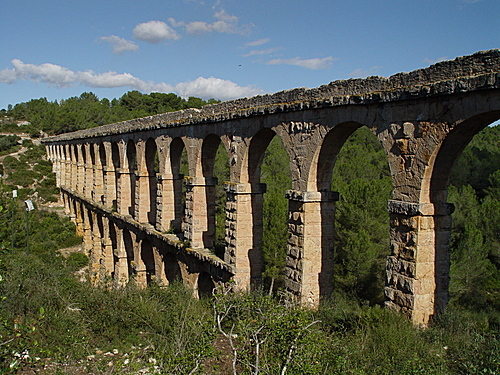 The Tarraco aqueduct took water from the Francolí river, 15 kilometers north of Tarragona. 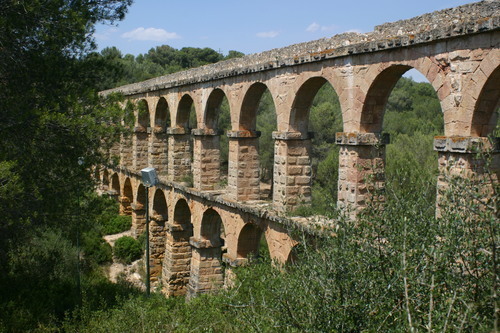 It probably dates from the time of the emperor Augustus. 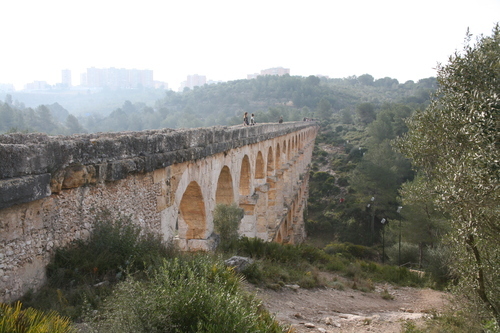 Les Ferreres Aqueduct is composed of two levels of arches: the upper section has 25 arches, and the lower one has 11. 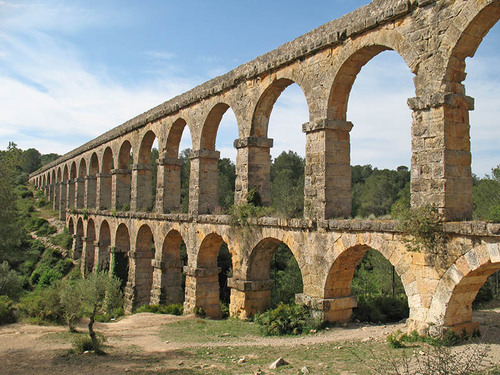 All arches have the same diameter of 5.9m with a variation of 15 cm. The distance between centres of the pillars is 7.95m. 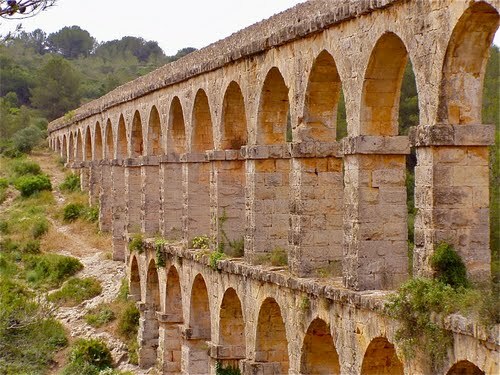 It has a maximum height of 27 metres and a length of 249 metres, including the ends where the water channel runs atop a wall. 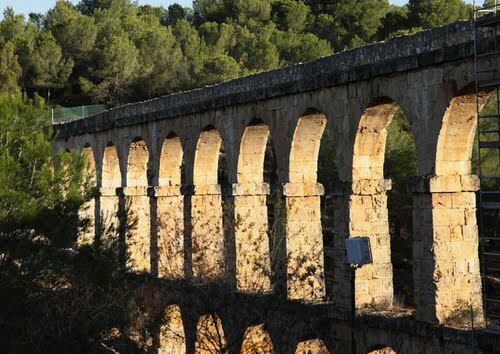 Pont du Gard? 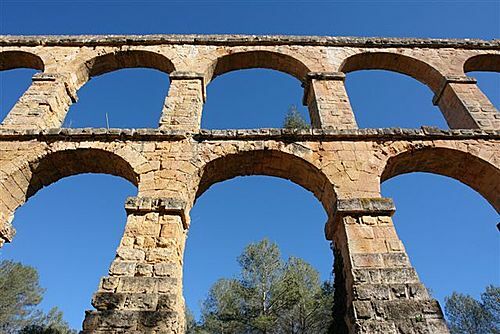 - No - Romans in Taragona, Spain, did also wash and drink water.